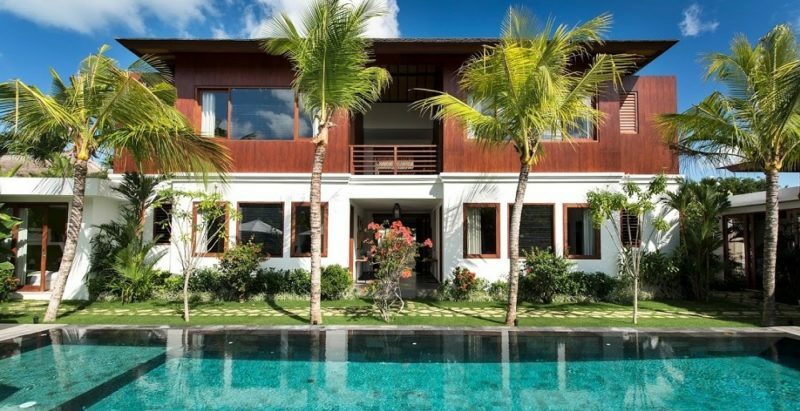 Villa Abagram is the combination of the 6 bedroom villa Abakoi and the 6-bedroom villa Tangram, creating an amazing 12-bedroom haven of tropical luxury. 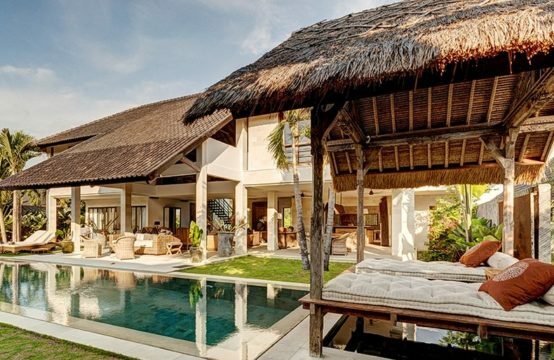 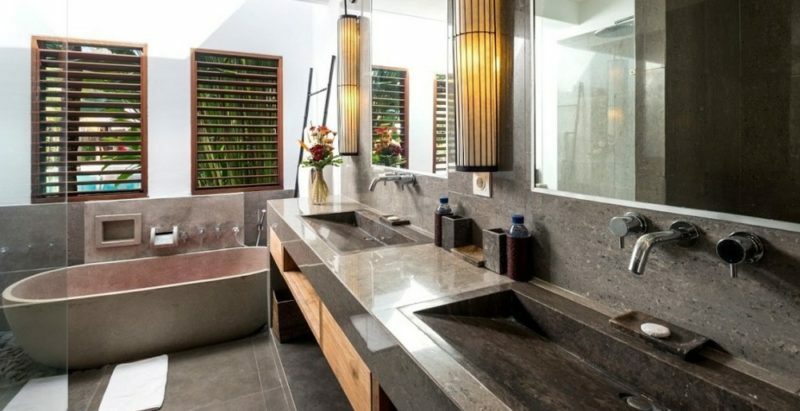 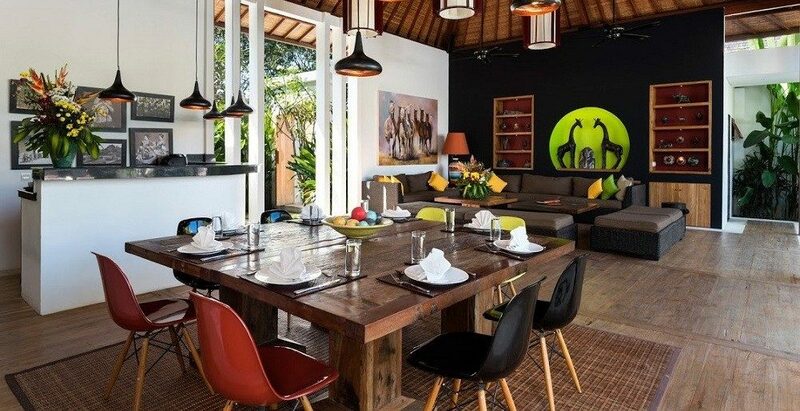 Villa Abagram is located in Seminyak, Bali’s most sophisticated beach town, and the villa features an abundance of communal hubs, not just one but two swimming pools, a private spa, and deluxe bedrooms suites of which two are designed especially for children, fitted with bunk beds. 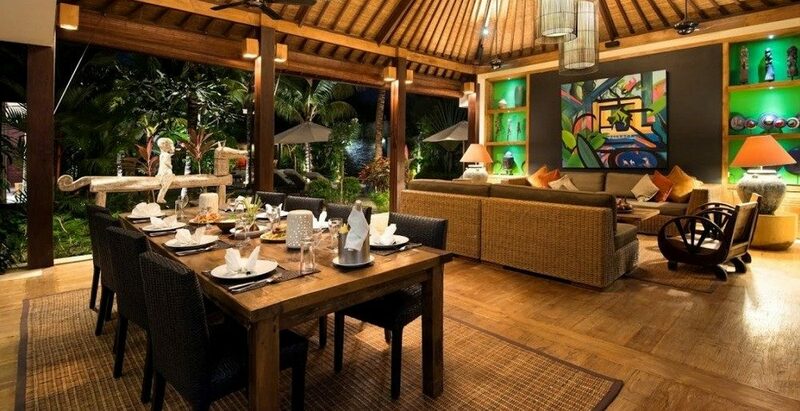 Villa Abagram can comfortably accommodate 20 adults plus a bunch of kiddos. 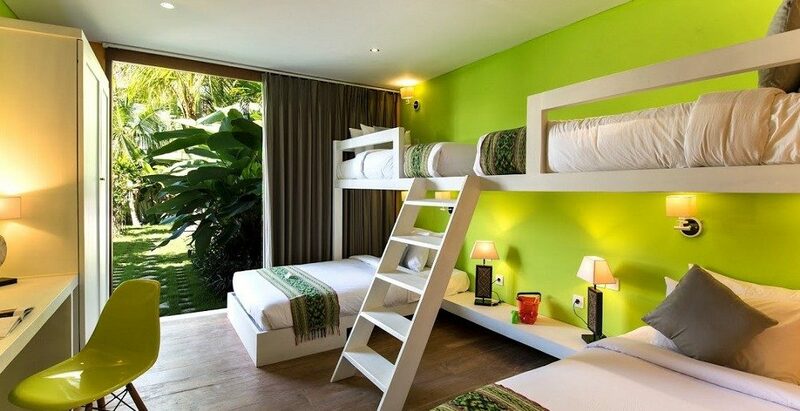 Big traveling groups with a whole lot of kids, will see their dreams become reality with a stay at Villa Abagram. This gorgeous tropical luxury villa is not only located in the heart of fashionable Seminyak where guests enjoy the convenience of exploring the beach, restaurants, bars and shops by foot, but it also features one expansive, lush green and peaceful garden with not just 1 but 2 glorious swimming pool where parents can swim laps and kids can happily splash around in the refreshing water. 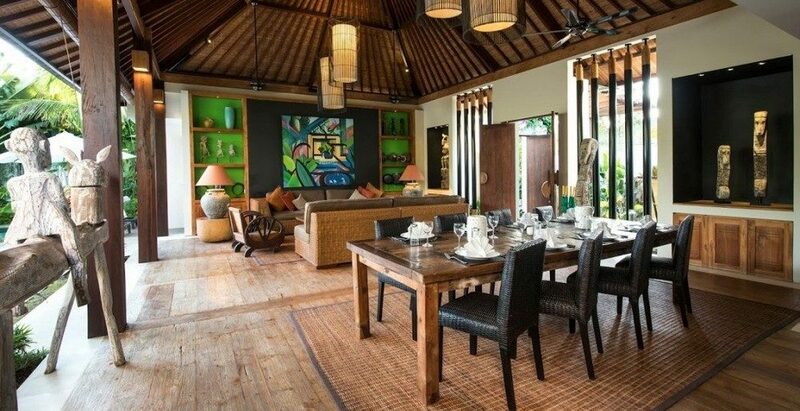 The choice of places to relax, lounge, have drinks, read, watch TV and dine are endless and the living pavilions are truly stylish with a cool mix of modern and traditional artwork, bright colors and custom teak furniture. 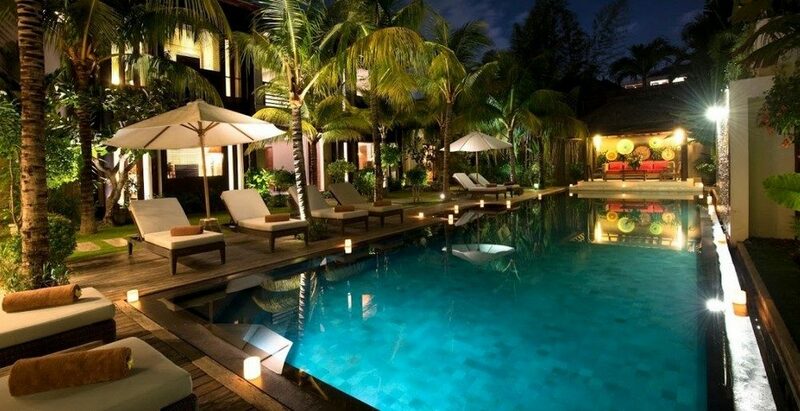 Holidaying with kids doesn’t get more perfect than this! 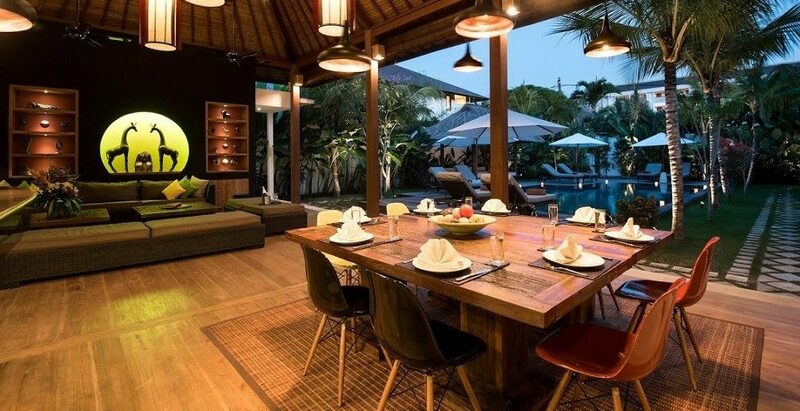 Apart from having two living pavilions, each with a state-of-the-art kitchen, a comfy sofa lounge corner and a family dining area, Villa Abagram boasts a private spa on-site for those wanting to rejuvenate without taking even one step out of their private villa. 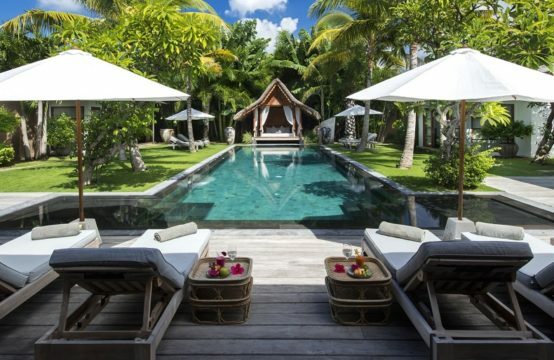 The villa’s staff is just amazing, looking after you with great care and there is a BBQ for family garden feasts with delicious freshly grilled food, a few cocktails perhaps, and lemonade for the little ones. 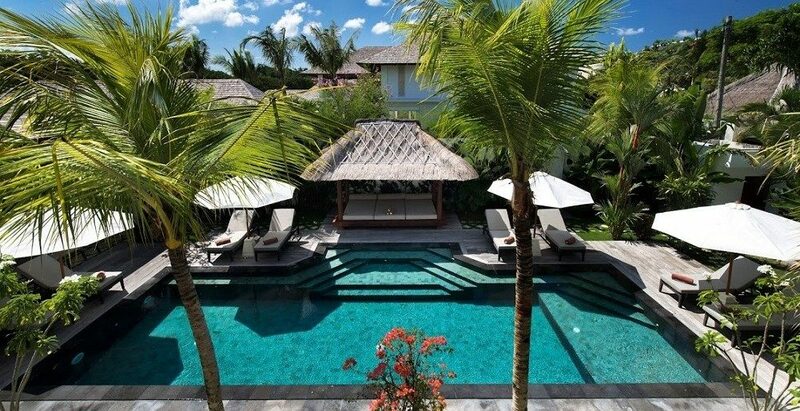 Let the holiday of your life in Bali start right here! 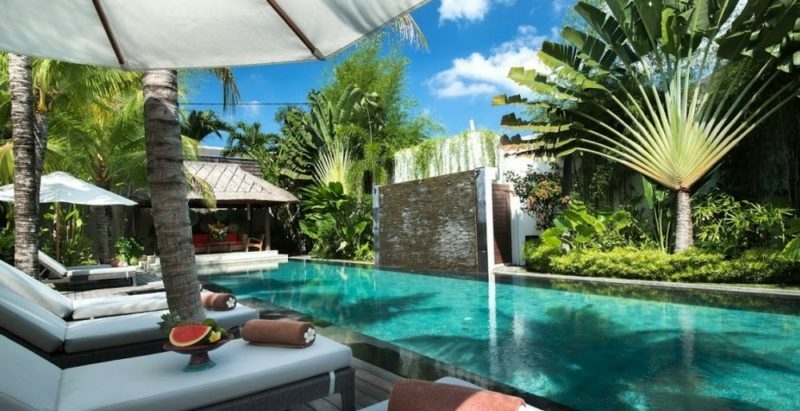 If not spending the day at the sandy beach of Seminyak with happening beach clubs and charming beach bars, stay inside and enjoy your private paradise-like garden. 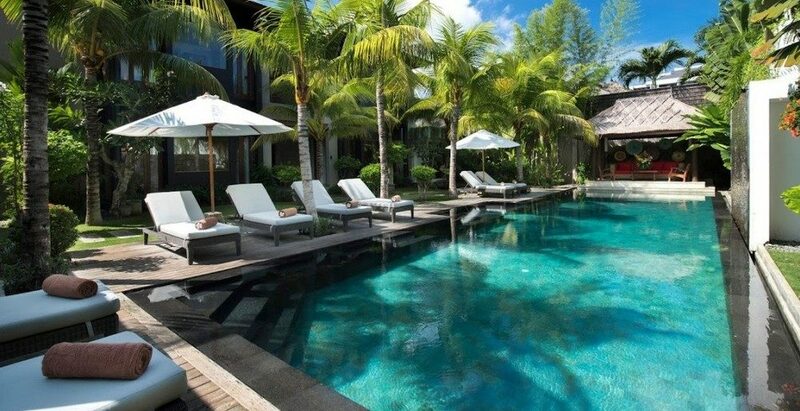 Sunbathe on the poolside lounge beds, snooze in the tropical thatch-roofed gazebo’s and watch the kids play in the pool. 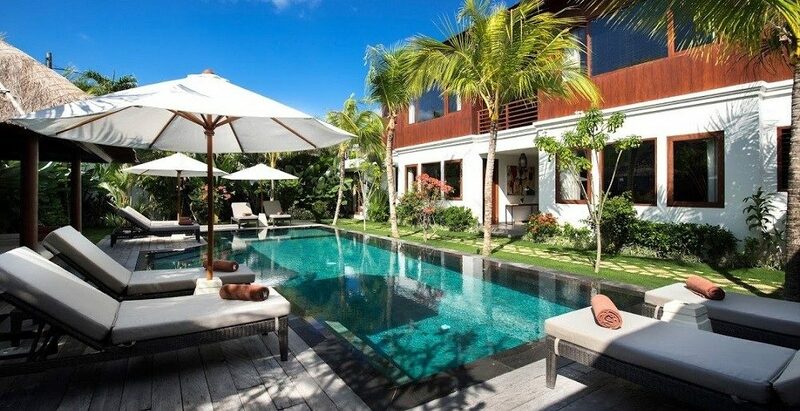 You needn’t go anywhere at all! 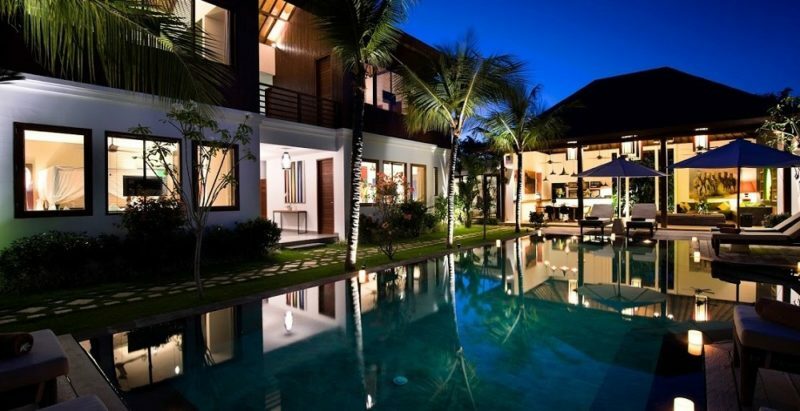 Villa Abagram houses a total of 12 bedrooms. 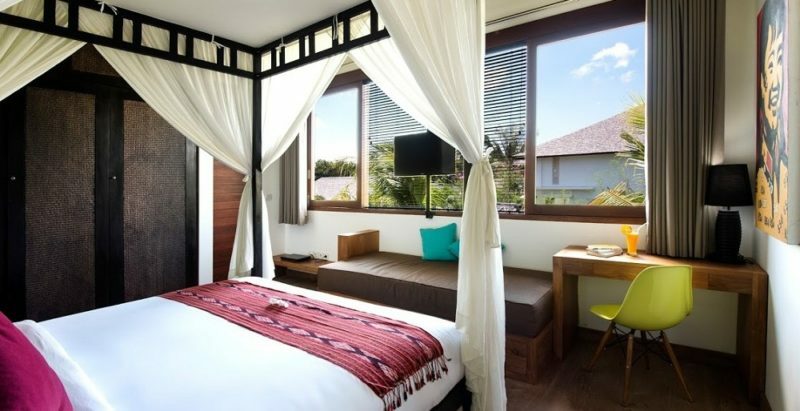 Two of these bedrooms are luxurious master bedrooms boasting lavish en-suite bathrooms fitted with rainforest style showers and large soaking bathtubs. 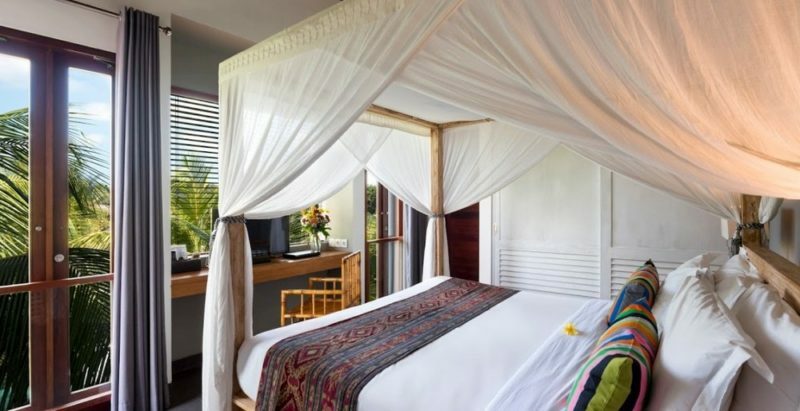 The master suites are tucked in private pavilions that open up to the garden and pool. 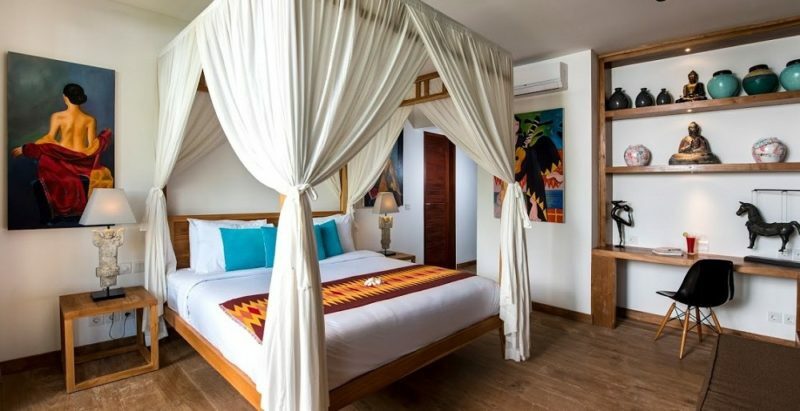 The other 10 bedrooms are also deluxe, tucked in two guest bedroom pavilion and each pavilion features a bunk-bedded kids’ bedroom. 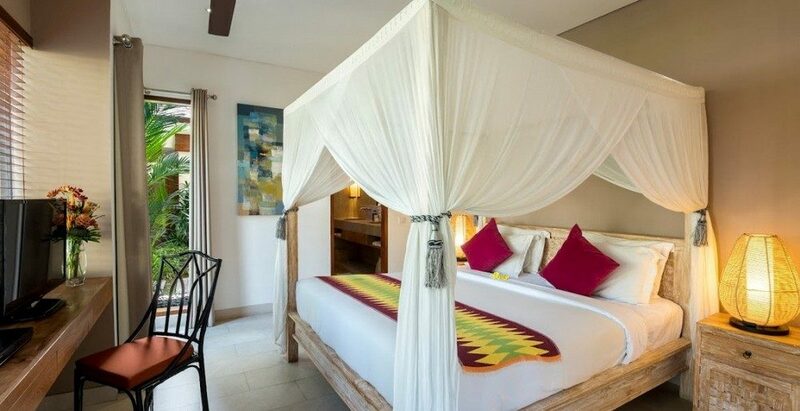 All rooms feature quality double, twins or bunk beds, air-conditioning, satellite-TVs with DVD-players and minibars. 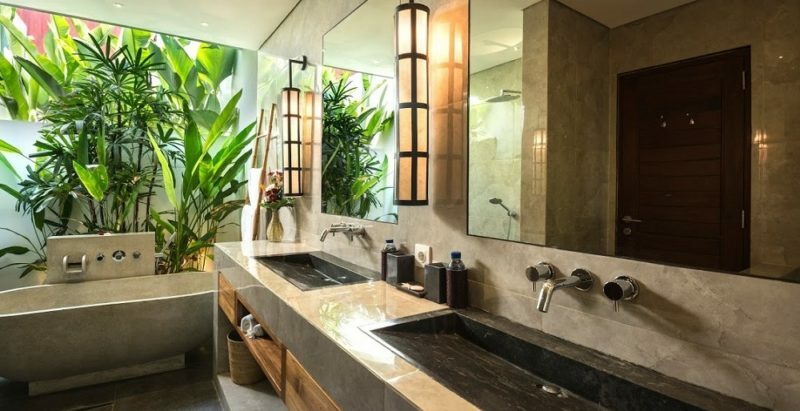 Every room has its own en-suite bathroom for your comfort and privacy, fitted with a rain shower and complimented by full bathroom guest amenities. 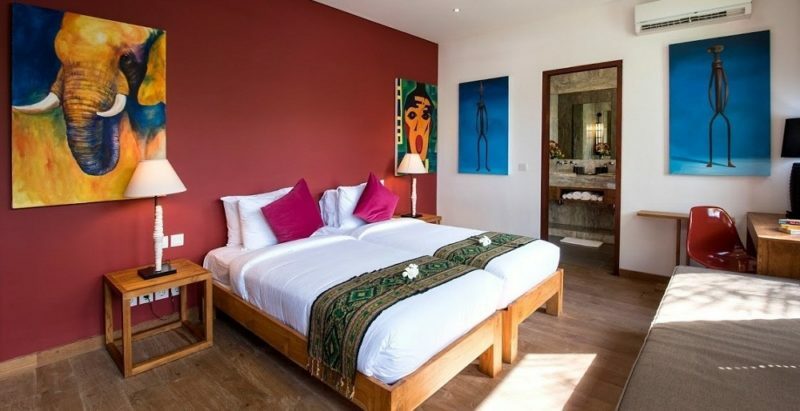 After a good night sleep in your private quarters, seek company at one of the communal villa hubs before a delicious breakfast is served by the wonderful staff of Villa Abagram.